After a peaceful night’s sleep, you can look forward to enjoying a leisurely breakfast served just the way you like it. 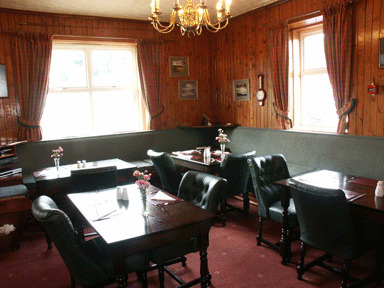 Our dining room and bar is open from 6.00pm Monday to Friday and from 12.30pm at the weekend during the winter months and from 12.30pm every day in the summer. We serve light lunches, scrummy cakes and afternoon tea during the day and have a more substantial menu available in the evening. You can reserve a table by giving us a call, emailing or messaging us on Facebook. We also love to host private parties and events as well as bookings for times outwith our usual opening hours – just give us a call to make arrangements. We’re fully licensed so if you just fancy a drink in a relaxing and friendly environment, you’ll be most welcome.